The city council narrowly voted to accept a $30,000 donation to improve eight ballfields from the controversial “One Paterson” civic organization connected to mayor Andre Sayegh. Some council members had demanded documents revealing the officers of the organization last week. At Tuesday night’s meeting, the administration provided a two-page incorporation document for the group. The pages listed four trustees. 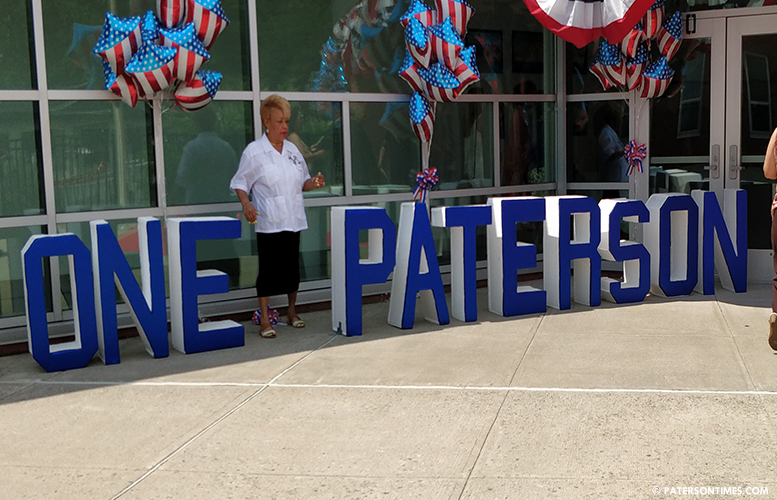 Chairman of OnePaterson is Ed Farmer, former chief of staff to congressman Bill Pascrell. Other members for the organization are Bill Pascrell, III, congressman Bill Pascrell’s son; Sam Merhi, a businessman and former Passaic County Freeholder candidate; and Robert Ardis, a friend of Sayegh’s who works at the health department. Both Farmer and Pascrell, the son, held a $1,000 per ticket fundraiser for Sayegh during the recent mayoral race. The group is holding the mayor’s ball at the Brownstone House tonight that is expected to raise more than $150,000. Some council members said they were uncomfortable voting in favor of accepting the donation from the organization. “Using One Paterson to collect donations for the city, but at the same time using One Paterson to sell the mayoral ball tickets. It doesn’t sound right to me,” said Shahin Khalique, 2nd Ward councilman. Developer Cesar and his wife Jennifer Pina donated $30,000 to the One Paterson group. The group hired a contractor to carry out the repairs at the ballfields. The group does not have to disclose its donors. For example, a business could donate $1,000 to the One Paterson group. It then can receive favorable treatment from the administration for a municipal contract. If Sayegh received the donation directly into his campaign account, the business, under existing pay-to-play ordinance, would be barred from receiving professional contracts from the city. Some council members have said they fear such a scenario could arise. Voters have no way of finding out the firm had made a contribution to question the mayor or initiate a recall for questionable conduct. Ruby Cotton, 4th Ward councilman, suggested the mayor create a separate foundation dedicated to collecting funds to improve municipal parks and ballfields. Sayegh said he will consider Cotton’s suggestion. Sayegh said routing the donation through the civic organization was the most efficient way to get the money and repair the fields. The council accepted the donation in a 5-4 vote. Al Abdelaziz, Cotton, Lilisa Mimms, Rivera, and Velez voted in favor while Khalique, McKoy, Jackson, and Davila voted against. I'm lost for words on this one. The prosecutor is in bed with them and the AG is under Murphy and Democratic chairman Currie. Jesus Fix It, That's all I can say. Paterson is done. Leave, I've been warning.